Logan has been one of my most anticipated films of 2017, probably since we saw the first trailer. I was always interested in seeing another Wolverine movie, but the previous two hadn't really been the best of films. You can read our reviews for X-Men Origins: Wolverine and The Wolverine here. But I wasn't entirely sold on the film until we saw the trailer. It was just such a beautiful trailer, paired perfectly with the Johnny Cash song. It was just an incredibly well edited trailer, and it got me so pumped for this movie. When the reviews began to come out, they were saying it was absolutely fantastic! That was a sigh of relief, because I was certainly hoping for it to be excellent, but it was great to hear that it actually was. So I went in with really high expectations, and it met them for the most part. 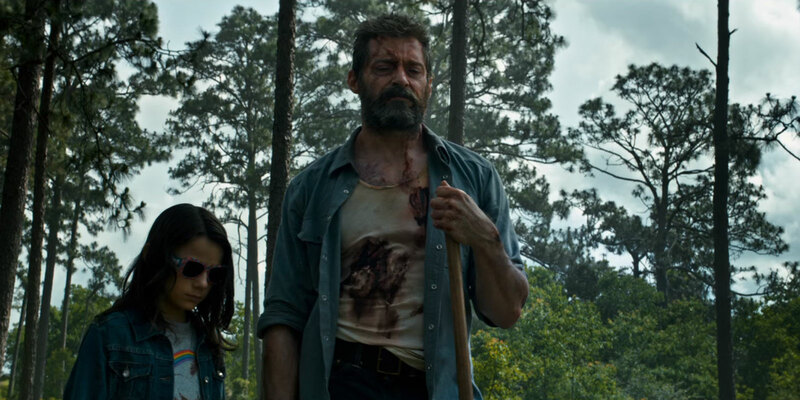 Logan is an incredibly subtle and meaningful character drama, with brilliant moments of brutal, R-rated violence, and breathtaking performances. Logan (Hugh Jackman) lives on the Mexican border, taking care of an ailing Charles Xavier (Patrick Stewart). 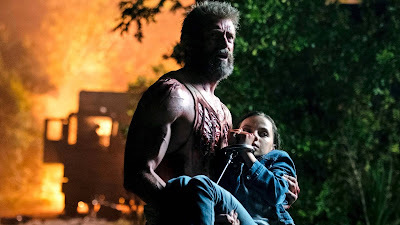 When a mutant clone of himself, Laura (Dafne Keen), shows up on his doorstep, Logan must embark on a journey to keep her away from the venomous team of mutant-hunters, the Reavers, led by Donald Pierce (Boyd Holbrook). This movie is truly something else. Aside from Deadpool, it's probably one of the most innovative and distinctly different comic book movies I have ever seen. It's hard to call it a comic book movie in many respects, because it's more of a human drama surrounding Logan. When this film opens, he's not doing too well, to say the least. His healing factor isn't working as well as it used to. His claws don't always pop out when he wants them to. There's a haunting image shown in the trailer of Logan actually pulling one of his claws out because it didn't pop out all the way, and it's really stuck with me since seeing it in context. He's also drinking heavily. He's just really at his end, and is exhausted. Then, a series of events put Logan out on the road with Laura and Professor X. Let's talk about Professor X in this movie. As evident from the trailers, he has dementia, and it's used very effectively in the film. It's a truly sad irony, when you think about the man with the world's greatest brain having a brain-related illness. It's tragic, but that's what most of this movie is. Tragic. The action here is spectacular. 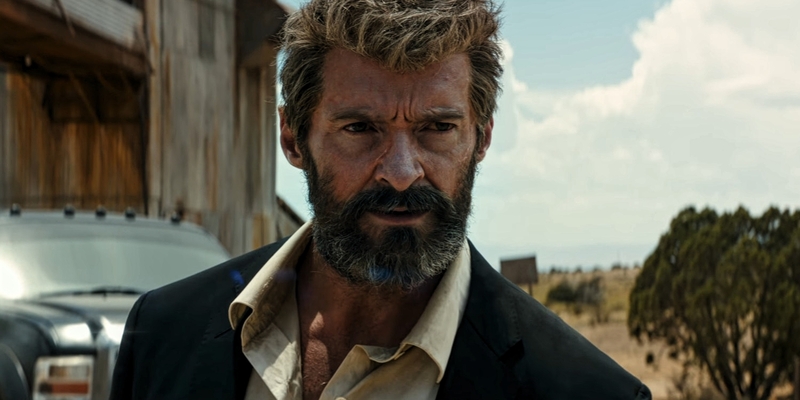 Someone described it before, saying how you don't realize how much you needed an R-rated Wolverine until you see this film, and that person is absolutely correct. When you think about it only in premise, how is a movie about a person with razor sharp claws not R-rated? We see all the blood and guts and gore you could want, and it's disturbingly beautiful to see on screen. I just felt happy seeing the true Wolverine we all know finally realized on film. The performances across the board are outstanding. I think this has to be the most well acted comic book film I have seen since The Dark Knight. Hugh Jackman is sensational. This is by far his best performance as Wolverine. You could even make an argument that this is his best performance period, but I would need more time to compare it to The Prestige and Les Misérables. But he was mindblowingly good in this film. Patrick Stewart was also incredible. While I thought that Stewart was doing a fantastic job acting, for a lot of the movie his character didn't feel like Charles Xavier to me. I know he's gone through some sh*t, but it didn't even feel like the same basic character at all to me. But once we get into the movie, and especially during a monologue he has at a key point in the film, you realize that this is the same Charles you know from the other movies, just completely broken down. I think Stewart's performance and the character of Charles in this film is something I will appreciate a lot more upon a second viewing. Dafne Keen made her debut in this movie, and she was incredible! She has a strong physicality to her, and handled the emotional parts equally as well. I think this girl has a long career ahead of her, and I believe we're only just seeing the beginning of what she can do. I do have some negatives. While I liked Boyd Holbrook in the film, I thought the villains were overall underdeveloped. They explain why they're doing what they're doing, but none of it had the same power as Logan's story did. There's also another villain introduced in the film that we didn't see in the trailers, and I didn't really care for it. I thought this villain didn't fit in with the atmosphere and the tone of what Logan had created. I think you could have chosen a different villain to do the exact same thing that this one did, and it would have fit in better with the film. There is a certain metaphoric quality to the villain that I fully understood and realized, but I still think it would have been better had another character been used instead. There's an exposition-filled video that's shown in the movie that I thought could've been done a lot better. It wasn't as bad as what happened in Batman v. Superman: Dawn of Justice, but it was still poorly executed. It was supposed to be a rushed cellphone video that a character secretly filmed, but it was perfectly edited with voice-over and everything. The emphasis is that this character filmed everything in secret, but there are so many shots in there that there would be no way the character could actually get away with filming them. I think more work should have gone into making this part of the film, especially since so much time and care was given to the rest of the movie. It was just sloppy. Overall, Logan is a great film. It puts its characters at the forefront, with the story really just about developing Logan as a character. Hugh Jackman gives an unbelievable performance, and is one of his best to date. Patrick Stewart was also excellent as Charles Xavier, though some of his nuance may have been lost on a first time viewing. Dafne Keen is fantastic in her first role on film, and I think she will have a long career ahead of her. The R-rated action in this is phenomenal, and it's everything you wanted it to be. James Mangold does a brilliant job directing, and really worked to make this feel like a character-driven Western more so than a comic book movie. Boyd Holbrook gave a good performance, but I wish he and the Reavers were a little more fleshed out and developed. I don't think think they were as effectively used as they should have been. There is also another villain introduced in the film that I don't think necessarily worked, and it could have been replaced by something else. There's also an expositional video that's played that is incredibly sloppy, and could have been done a lot better had they put more time into it. There's also a few green screen shots that were pretty obvious, and needed a little bit more time to perfect. In the end, Logan is definitely one to see, and one to see again. I know there are many things about this movie that I will like more and further appreciate once I see it a second time. What do you think? 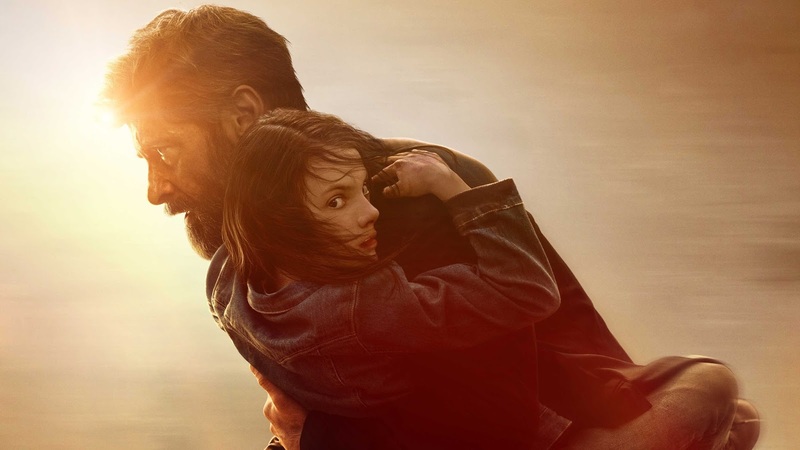 Have you seen Logan yet? Did you like the film? Leave your (spoiler-free) thoughts in the comments section below.